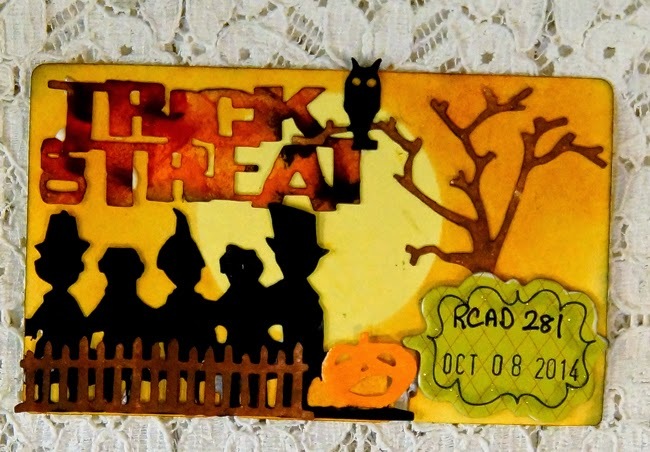 This was a fun card I created for a Tim Holtz die. I started with a yellow rolodex card with a circle taped to the center. Then I added ink to create the moon. I used some paint on the die cuts and glue everything down. Then I edged it with TH distress ink, black soot. Very quick and easy card. Here is the video but I missed the first part because I thought the camera was on but it wasn't. Oops! Another fun design-love the colors on this one.